Title 17 violations of the California Code of Regulations can be your best friends when trying to get rid of a DUI charge. It can be quite hard to grasp all the information found online about Title 17, so lawyers can be of great help in understanding all the nitty-gritty parts of vehicle regulations. In case you can’t afford a lawyer or you just want to have some insurance that all the procedures have been complied with, keep on reading to find out more about CA title 17. Just note that depending on the state you are in, be it Texas, Florida, Colorado, or Illinois, the code of regulations could be different. or a urine test, in case a blood sample cannot be collected. If any of the required steps is skipped or mishandled, then your blood alcohol content might be inaccurate. An incorrect level of alcohol in the blood can lead to dropped or reduced DUI charges, or even an acquittal from the judge, in case you go to trial. What Are CA Title 17 Violations I Can Use? A breathalyzer that is not calibrated according to its requirements might give a wrong reading of your blood alcohol content. If the breath sample has not been collected from alveolar air, found deep inside the lung, then you can argue for a dismissal of it. Alcohol that remains trapped with air inside your mouth, also called residual alcohol, can lead to a higher blood alcohol content displayed by the breathalyzer. It is important that the police officer keeps you under observation for at least 15 minutes before asking you to blow air into the breathalyzer. Eating, drinking, smoking, vomiting, or even regurgitating should not take place before a breathalyzer test. Any substance that gets inside your body or comes out of it can influence the result. The first requirement is that the company performing the forensic alcohol tests has to have a valid license which takes into account all the regulations in the California Code of Regulations. In order for the license to be maintained, there are a number of requirements the laboratory has to fulfill, for example, maintaining quality control programs for their analyses or having a satisfactory performance in programs that test for their proficiency. Another issues can be the renewal of the license, since many laboratories forget to do so. If the lab in which your test is performed has an expired license, then the blood sample can be excluded from evidence if you get to court. 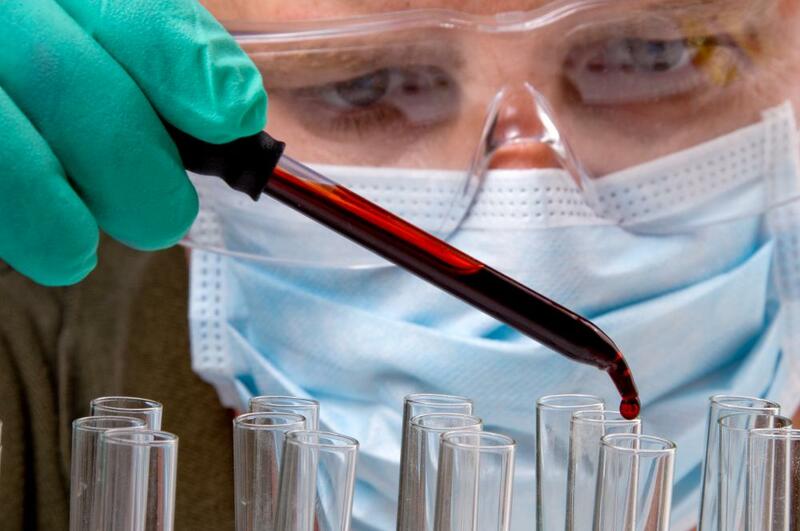 In order for a person to be able to perform blood tests inside a crime lab, he or she has to have the proper training. This means that the laboratory has to employ a forensic alcohol supervisor. Supervisors can also delegate their tasks to forensic alcohol analysts or trainees, but the latter can only perform the tests under supervision from the forensic alcohol supervisor. The area on your skin from where the blood is drawn has to be sterilized beforehand, but not by using an alcohol-based agent which can contaminate the sample. Other water-based agents are recommended by the California Code of Regulations. In order for your blood to stay fresh, there has to be a specific amount of anticoagulant. Without this added substance, your blood could go into a process of fermentation which will affect the blood alcohol level. It is also important that the anticoagulant has not expired since its altered chemical composition will influence the analysis. Moreover, the mixing of the anticoagulant with the blood has to be done in a specific way, using an exact concentration. Any failure to comply with this can lead to a wrong result of the analysis. If the blood sample is not stored at a specific temperature, then the chemical composition may alter and lead to a wrong value of blood alcohol content. Urine tests are even more unreliable than the breathalyzer. This is one of the reasons for which this type of test is performed only in case a blood sample cannot be drawn. The most important thing regarding the procedure of collecting a urine sample for an alcohol test is the emptying of the bladder beforehand. This means that you should empty your bladder and then wait at least 20 minutes before collecting urine. If the sample is taken earlier than that, then the test will not be reliable. As with chemical blood testing, urine tests can also be mishandled by personnel, so any human error can have serious repercussions. It does not matter which CA county you live in, now you know everything you need in order to challenge a DUI charge, based on Title 17 violations. The number of the titles that deal with auto regulations can also vary from state to state – CA Title 17 is not the same as the title with an identical number in Texas. As an American you should check the vehicles regulations for your state and get all the information you need from your local DMV office before getting inside your car. Most importantly, don’t drink before you drive! Better to spend your money on fancy cars than on fighting DUI charges. Hey Buddy!, I found this information for you: "CA Title 17 Violations That Can Help in Case of a DUI". Here is the website link: https://www.duiauthority.com/ca-title-17-violations-that-can-help-in-case-of-a-dui/. Thank you.